Pilot Sport Cup+ (Plus) / N-Spec Streetable Track & Competition radials benefit from the same attention to detail that has earned Michelin repeated successes at major endurance races like the 24 Hours of Le Mans, 12 Hours of Sebring and Petit Le Mans at Road Atlanta. Pilot Sport Cup+ and N-Spec tyres were developed for enthusiasts who participate in track day events, as well as for serious drivers on the road. 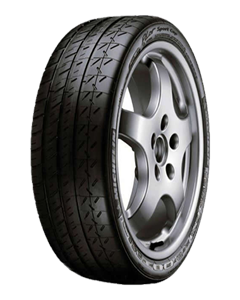 Sorry, we currently do not have any tyres with the Pilot Sport Cup Plus pattern in stock.